A team at the Aviation and Missile Research, Development and Engineering Center has worked to develop a new dual pulse rocket motor. The Weapons Development and Integration Directorate at AMRDEC has worked under the endorsement of the Counter Rocket Artillery Mortar Product Office and the Cruise Missile Defense Systems Project Office to demonstrate a low cost, dual pulse rocket motor incorporating insensitive munitions capabilities. The program was funded by the Joint Insensitive Munitions Technology Program. The team at WDI had a goal to ultimately explore technologies in rocket motor propulsion to help lead to a low-cost, dual pulse rocket motor. A dual pulse rocket motor contains propellant that is divided into multiple sections by an internal barrier, which will perforate as the second igniter fires to allow the propellant to exhaust through the same nozzle as the first propellant. The project was born in fiscal 2013 out of a program known as the Accelerated Improved Interceptor Initiative as a potential upgrade to the baseline rocket motor. The AI3 Interceptor program was halted, causing the JIMTP funded team to change their focus and downscale. Because the team was successfully demonstrating insensitive munitions technologies that hadn’t been demonstrated before, the program was encouraged to continue. “We’ve facilitated some other programs to be stood up that are following a similar motor case and propellant configuration,” Nathan Mathis, a chemist with WDI’s Energetic Materials function, said. Mathis and his team were able to use knowledge they gained from the JIMTP propulsion program to successfully transition into developing the dual pulse rocket motor. The team was given direction for the program through the C-RAM product office, with CMDS providing insight as well. The two organizations gave the team general length constraints to design within. The rocket motor had to meet insensitive munitions requirements, which are certain criteria that ensure that the motor is safe to handle and safe for the warfighter. To comply with insensitive munitions testing, a minimum score of Type V must be achieved. Because the JIMTP is developmental, the scores given to this rocket motor were unofficial. The team scored a Type IV, but because the insensitive munitions test is a systems level test, there may be certain mitigations that will help the Type IV become a Type V score. 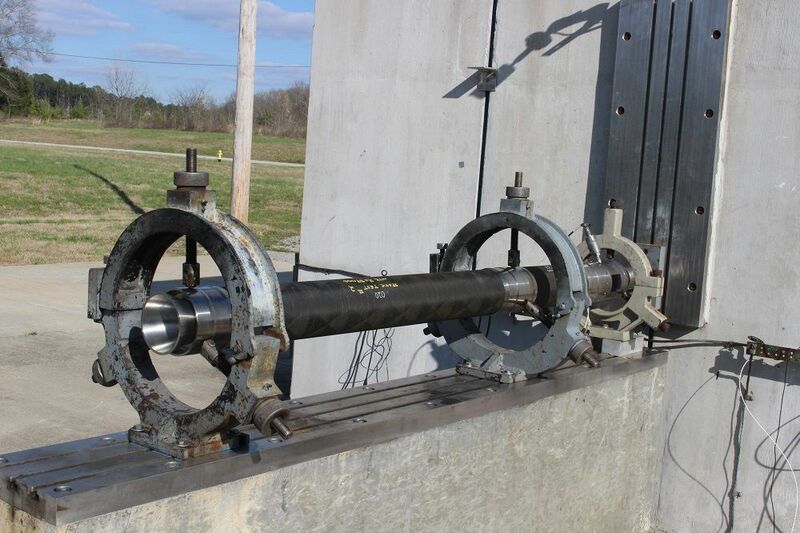 Insensitive munitions safety testing for the rocket motor design was performed at NTS in Camden, Arkansas, and at Redstone Test Center. All of the traditional motor firings were done within WDI. Final testing was completed early March. This is the first dual pulse rocket motor that has been developed in house at AMRDEC.